A short blog this week, because I'm taking RobH at his word that short blogs are better than no blogs. 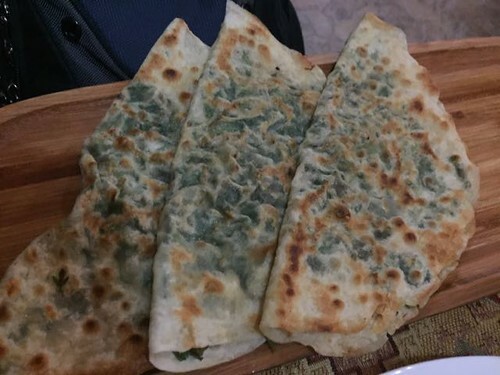 Qutab are a sort of Azeri quesadilla. The outer wrap is lavash, which is a flat unleavened bread that’s rolled out very thin and sometimes very big. I first encountered lavash in Russia, when Gerald bought some at a supermarket in Moscow to make wraps at lunch. When he pulled a piece out and started unfolding it just kept unfolding and kept unfolding until it caused him to remark, “This thing is the size of a swimming pool!”. Therefore, in the increasingly arcane vernacular between Gerald and me, lavash is always known as “swimming pool wraps”. 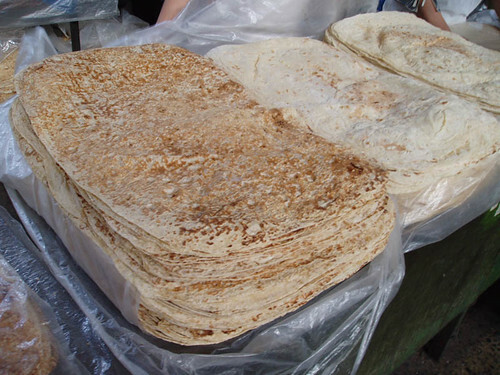 Lavash is ubiquitous in Azerbaijan, appearing in many traditional dishes but also pinch-hitting where we in North America would expect to see flour tortillas. For instance, the pub in my neighbourhood where the running club meets on Thursday nights does a passable chicken fajita that comes with small rounds of lavash instead of tortillas. It’s not bad, though really lavash is so much thinner than a tortilla that it lacks the necessary structural integrity to successfully convey fajita filling from plate to mouth by hand. Baku fajitas are definitely a fork and knife job. But back to the qutab. Qutab have a street food feel to me, and consist of a round bit of lavash spread with a thin layer of savoury filling then folded over and quickly heated on a griddle. There are three popular fillings: ground meat, mixed greens, and pumpkin. These ones are greens, served up at Firuze restaurant, where I’ve been a few times since arriving in Baku. (Note that Firuze is properly spelled Firuzə, but that upside down backwards E is a real pain...) Regardless of their awkward spelling, they do nice qutab in three varieties and really good Azeri dolmas (different than the Greek ones) and many other excellent treats, including a fancy rice dish that cooked in a ceramic pot lined with layers and layers of lavash that ends up acting sort of like crispy phyllo pastry crust when its cooked. Very cool. Meat qutab are a simple mix of cooked ground meat and onion, and are usually sprinkled with sumac on the outside. Sumac is a reddish spice made from dried ground sumac berries. It’s variously described as anything from lemony to astringent, and I’ve been enjoying it on all kinds of things lately. The green veggie variety of qutab are filled with a mostly unidentifiable mix of leafy greens like spinach (Which is different here. It's milder, without that funny puckering after effect). There's also something else unidentifiable that adds an earthier taste. Slightly coriander/cilantro but not in that awful coriander/cilantro way. If you know what I mean. My favourite flavour of qutab is pumpkin, though the actual variety of vegetable that is called pumpkin here is shaped more like butternut squash than pumpkin, and has a sort of sad grey colour on the outside. Still, they’re cheap and last for ages in the fridge, so Baku pumpkin has become a staple food for me. It’s really nice roasted, and cooks much quicker than butternut squash. Or perhaps it’s just fast because the oven is my apartment is, I suspect, nuclear powered. It can roast a whole chicken (liberally coated in sumac and olive oil) in just over an hour. 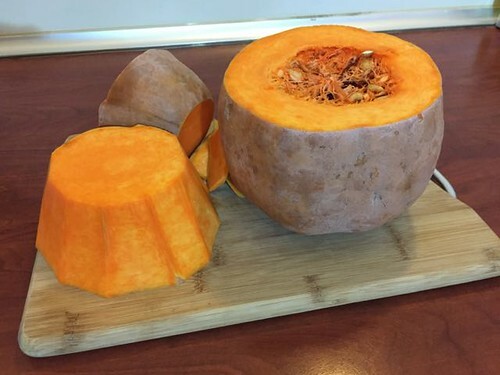 Pumpkin cut into large chunks is cooked in about 15 minutes. And, as an aside, when you turn the gas on for the stovetop it lights with a ferocity and enthusiasm that is positively eyebrow-singing. Pumpkin qutab are filled with a thin smear of cooked pumpkin and are sometimes jazzed up with a few pomegranate seeds, which is a perky addition. There’s a place just outside my metro station that sells qutab, and I’ve stopped a few times to pick some up on the way home. They’re available all over, and are a reliable quick snack when needed. 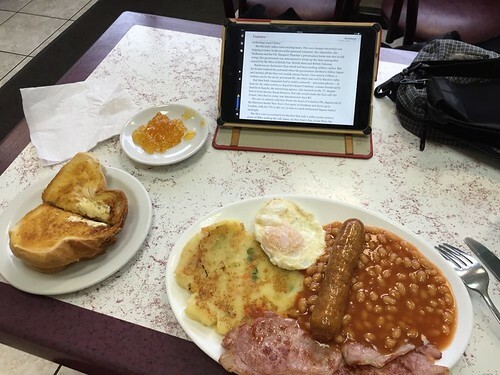 And for the truly committed Go Stay Work Play reader, here's a recipe I found online for pumpkin qutab) And that's genuinely all there is to say about qutab, except I could really go for a couple right now, only they're 4 floors down and 3 rainy blocks south and I'm just not that committed right now. Plus I've got to pack to go to Athens. Which is honestly not a sentence I was expecting to write this week. Yeah, it's been a while. Sorry about that. I have no excuse other than the usual run-up-to holiday busy-ness, the distractedness of being in London and messing about with the boat, the normal Christmas busy-ness of backing-and forthing among family members, and the busy-ness of settling back into life and work in Baku, all coupled with a general disinclination to blogging as instead of, say, laying on the couch with Netflix or sitting with the crossword in a café, or whatever. So let’s catch up a bit and I’ll try to resume normal service in the coming weeks. Things are not ideal with my poor little boat right now. I deliberately routed myself through London for a few days on the way from Baku to Canada, so that I could check in on the boat. In the weeks before my return the globe-trotting Nes (the aforementioned certified guy who knows about engines and elecrticalish stuff) came back to London and spent some time on my boat doing a bit of recreational electrical installation while killing time waiting for various work visa-related things to be sorted out. In addition to fixing the existing hot water heater, he also installed all my fancy new solar panels, mostly motivated by the fact that I said he could have my old solar system if he installed the new one. Yes, I know that roof is filthy, but check it out! 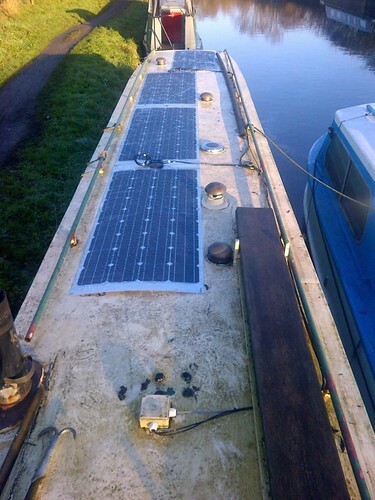 600 watts of solar power! While he was on board, though, the boat had another of its now-familiar "so you think you're in charge, well think about THIS" moments in which the timing chain broke leaving the boat very much dead in the water. Luckily, this happened with Nes on board and not me. Also luckily, the news came to me at the staff Christmas Party in Baku, after I'd already had several glasses of wine, so I was not as freaked out as perhaps I should have been. Since I'm not at all an engine kinda person, it had to be explained to me that when a timing chain breaks it is potentially a Very Very Bad Thing, because the timing chain controls when the valves and pistons go up and down and when it breaks they can get all out of sync and potentially crash into each other creating enough damage that the engine is instantly transformed from a Useful Thing That Propels a Boat into a New Anchor. So it really was lucky that Nes was there because he happily dived in and tore the engine apart and determined, much to his amazement, that there seemd to be no major damage at all. (A Christmas Miracle!) And he tracked down the replacement parts and started to get everything put back together. 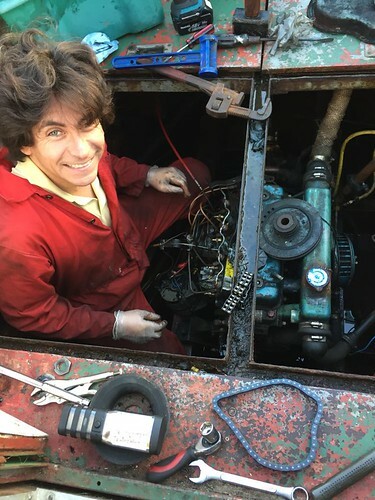 By the time I arrived I was able to help in the reassembly (and by help I mean "fetch spanners and help hold recalcitrant gear-pullers and ask stupid questions"). Sadly, once everything was back together and the key was turned there was a disappointing lack of actual engine-running. There was a lot of engine-turning-over, no trouble with that. But once you let go of the key the engine is generally disinclined to continue running. So as of now, my boat is not running, which means I may need to take a long weekend and dash back to London to have it towed and fixed and blah blah blah. On the plus side though, I have HOT RUNNING WATER and actually had a hot shower on my boat for the first time ever, which was momentous indeed. Also, among the tools and parts that Nes had to get for the boat repairs was a feeler gauge and an awesome torque wrench. The torque wrench is matte black and came in it’s own special case and is very cool. So I might not be able to move the boat under its own power, but I can do the dishes without having to boil the kettle and I can torque down engine head nuts to exactly 72 psi. So, you know, it’s all swings and roundabouts. 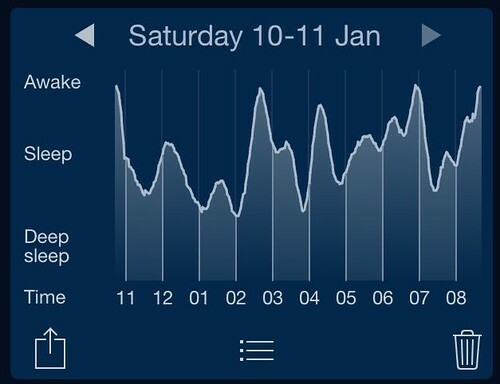 Here’s how I slept last night. 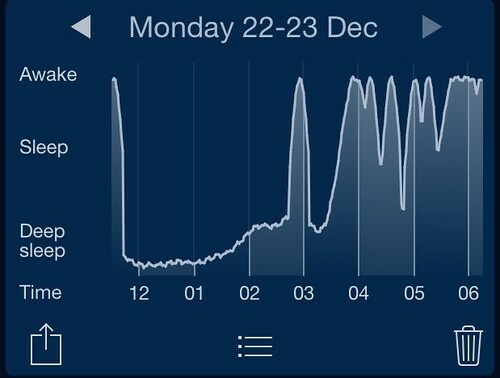 And THIS is the sleep graph of East-to-West jet lag. However, jet lag aside, I did have a very nice break. Even though there was a lot of travelling, there was also a good amount of relaxed sitting around, and I did manage to see all the correct people and eat all the correct food. 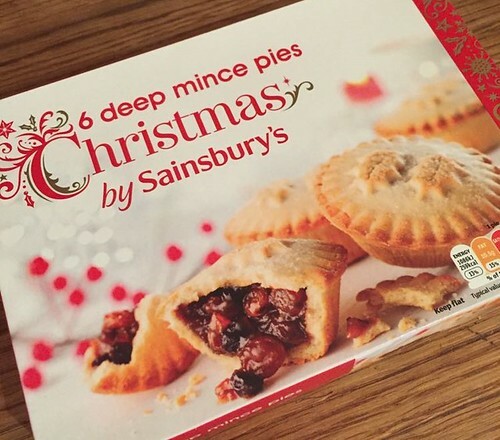 And not just the expected turkey supper (which was lovely) but also TWO ROUNDS of leftover steak-and-kidney pudding breakfast, along with these delights. I also managed to have a few runs along the riverbank in Saskatoon, though the weather turned quite cold on Christmas Day, and since I just don’t have the gear for extreme cold weather running these days so I was forced to give up my Christmas Day run and instead lay on the couch with a book and a gin & tonic. Tragic, I know. And we celebrated my niece’s ninth birthday, though I think she's actually skipped a few because I’m pretty sure the last time I checked she was six. And now I’m back-u in Baku. Weirdly, it felt a lot like coming home. I know I’ve only been here for a few months, but the fact is that in some ways this is the most home-like place there is for me right now. Of course there will always be Home Home in Canada. And the happy house in Brixton still welcomes me for a few nights here and there and accepts packages and stores everything that won't fit on the boat and generally acts as a terrestrial base of operations in London. And of course there’s the boat, which is kind of Proto-Home. But right now my slightly chilly flat in Baku feels very much like home. That’s not to say it’s all sunshine and roses. 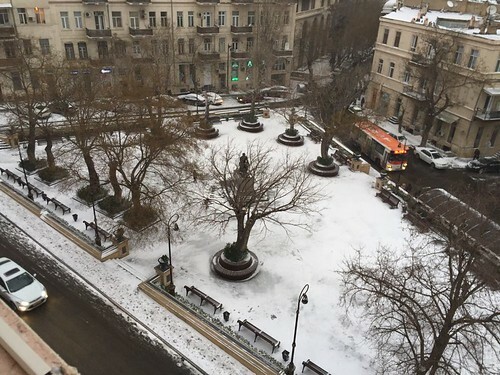 Baku had its first real blast of winter this week when temperatures fell below freezing and we had a fairly respectable amount of snow - enough that it’s hung around for a day or two. Here’s Triangle Square in the snow. Sadly, when I got home from work on Friday I discovered that the water in the flat wasn’t working. 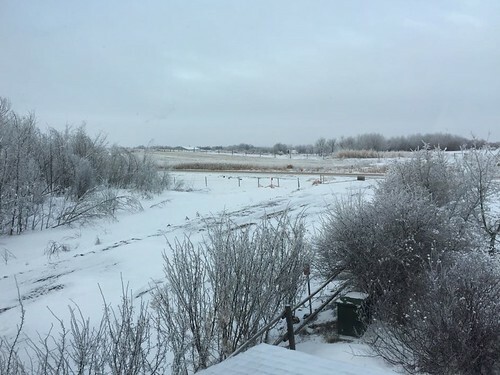 When I got in touch the estate agent said the pipes were frozen (in -5 degrees, so you can assume the standards of pipe-placement and insulation are somewhat less strict than in Canada). There was nothing they could do until things warmed up. I was mostly unfussed since I’ve got a water cooler for drinking water which would do me overnight. The next morning some unlucky man carried two more bottles of water up the 112 steps so I’d have a back-up supply, and then the water came back. Sort of. In fact, it’s still only sort of back. It’ll run for a few minutes, then it dies out to a trickle and stops. Yesterday I was forced to dash over to Gerald’s apartment for a shower since I didn’t want to risk getting stuck in the dwindling trickle with shampoo in my hair and soap in my eyes. I’m no longer sure I believe the “frozen pipes” explanation, and am monitoring things today before I get in touch with the landlord again. On a happier note, this week at work my Props Team expanded by 150% with the addition of two new international staffers and one young local guy. It’s great to be at full strength finally, though now there’s a lot more management to do, especially in the early days while everyone is still figuring out their jobs and, in the case of the internationals, the city, the language, the metro, the banking system, etc... Still, I’m glad to have them here finally, and in celebration we all went out for a big supper of Azeri food last night, which was just great. Here we are. Wish us luck. Now we’re all caught up, I think. 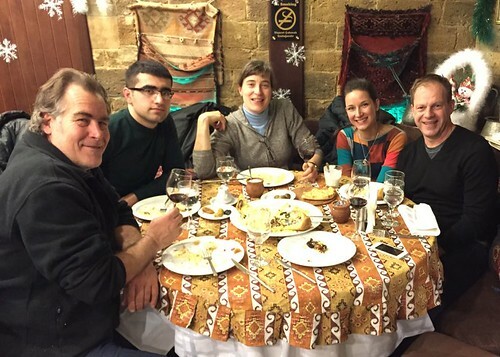 And next time maybe I’ll tell you about some of the yummy Azeri foods we had a dinner. 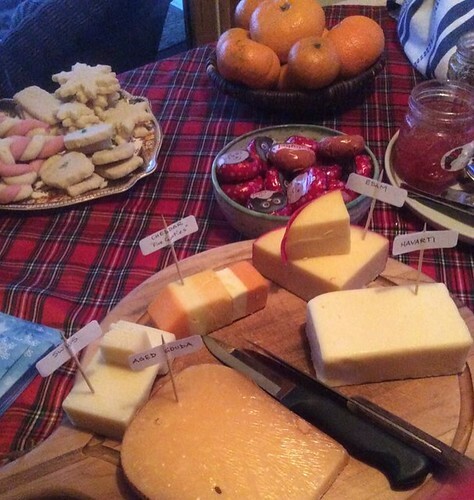 GRUB! Azerbaijan-style!